11. Largo from "New World Symphony"
Keyboard Dave is an experienced and versatile Pianist, Organist, and One-Man-Band in the Atlanta GA and Athens GA areas who can play all styles of music from current hits to cocktail hour jazz to a full band sound for dancing to classical for that elegant wedding. 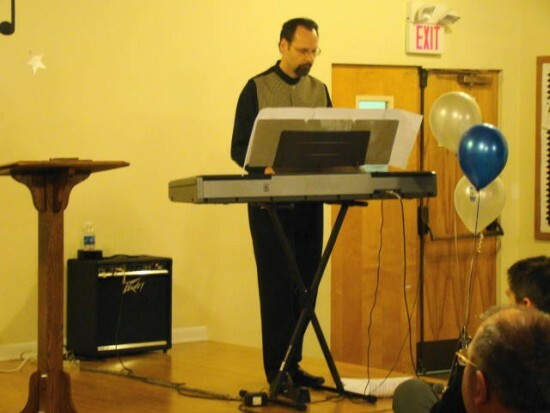 Keyboard Dave will make every song come alive with feeling and emotion and will create a memorable music experience for your Special Event, Wedding (ceremony, cocktail hour or reception), Party, Corporate Reception, Church Service or Social Gatherings of all types and sizes. Keyboard Dave has a very large repertoire numbering in the thousands! Please call or email to discuss your music needs and pricing that fits your budget. Keyboard Dave was great. He showed up early for set up. He played appropriate tasteful music and modulated the volume for the mood of the event. I would both recommend and hire him again if I ever need someone with his musical talents and classy persona. Keyboard Dave is a true professional in every way. Dave played a great assortment of contemporary and classic holiday music, and made our Christmas Eve dinner party a complete success! Thanks Dave! Loved it! Will choose Dave every time!!! Dave was well liked and played well. He was well prepared. Everything you need for a fill in pianist for our worship service! Dave provided a wide variety of Christmas holiday music for my holiday dinner party! My guests were delighted and thoroughly enjoyed all of Dave's song choices. Dave was very professional and arrived on time and was very pleasant to me and our guests. Will definitely contact Dave for my next occasion. Read his bio, and believe it. Dave went to great lengths to take care of my sis's 80th birthday party. Before the event he made sure he had a playlist of ALL of the music she liked, and the group would enjoy. And, he is quite talented. Keyboard Dave was very accommodating when I asked him to not only play the Throne Room song from Star Wars A New Hope, but when I asked him to shorten the piece to play as my wedding march, he did so and did so perfectly! It fit just right! Dave played for our dinner event and for the program following with great professionalism. His play list is very good for a long evening, and he was very willing to incorporate special requests which we provided ahead of time. He even very skillfully led the crowd of over 150 on the piano as we sang two songs with gusto! Could not be more pleased with our pianist for the evening! We hired Dave to play for our holiday shopping event in our jewelry boutique. He was awesome!! He arrived on time; took short breaks and not often so that the music was going constantly. We most definitely use him again and refer him to people. I would recommend David for any event. He played at our wedding ceremony and was fantastic. All of my guests kept going on and on about how much they enjoyed the pop love songs he played. He made our ceremony much more memorable. David played at our daughter's wedding ceremony. 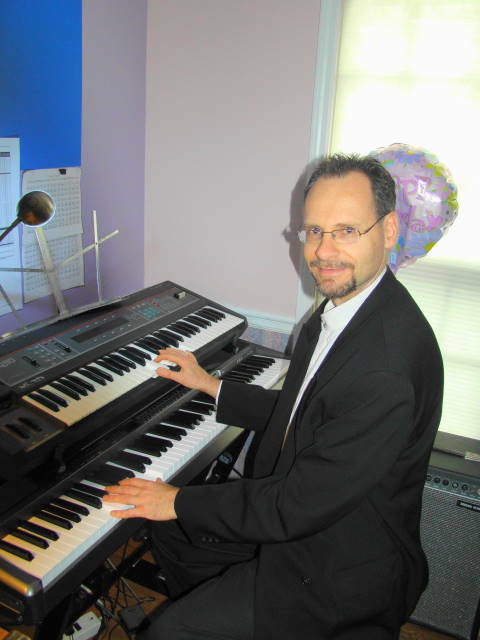 David was prompt, professional, an excellent pianist, and competitively priced! I would definitely recommend him and would call him again if our plans require a pianist. David is a very talented pianist. He played a very eclectic list of songs for my daughter's wedding. From classical to a popular tv theme song his experience and ability to play many styles was amazing. He was also very professioanl in all areas. My goal since an early age has been to entertain. I started piano lessons at age 6 and have continued playing my whole life, becoming increasingly more proficient through high school, honing my skills in recitals, high school plays, family gatherings, nursing homes, church and in several bands. I graduated from Nyack College, studying classical and jazz piano and classical organ, gaining a new-found confidence in my ability to perform all styles and genres of music. For the past 35 years I have entertained at restaurants, parties, special events and in churches in the New Jersey/ New York City areas, and now in the Atlanta, GA and Athens, GA areas and across the Southeastern U.S. I love to make people happy through my music. I have been told that I have a uniquely inspired way of playing that touches the hearts of those who listen. From elegant solo piano for background music to set the mood, to a full band sound for dancing, to classical, religious or current love songs for your wedding, I play it all. 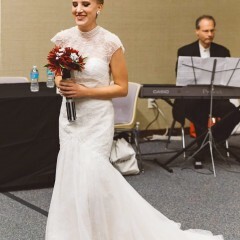 My repertoire numbers in the thousands and includes the following genres: Cocktail-Jazz-Standards-Holiday & Wedding music- Broadway Showtunes-Current Pop music- and Classical and Inspirational music, all played in my own unique style. I will also take requests and have a portable piano with background accompaniment and a synthesizer available if needed, or I will play your instrument. I love performing as a One-Man-Band and to watch people come into the room thinking that 3 or 4 musicians are performing. My up-tempo selections are very danceable as well as my slow-dance selections. I have an assortment of audience participation numbers, or if needed, sing alongs. 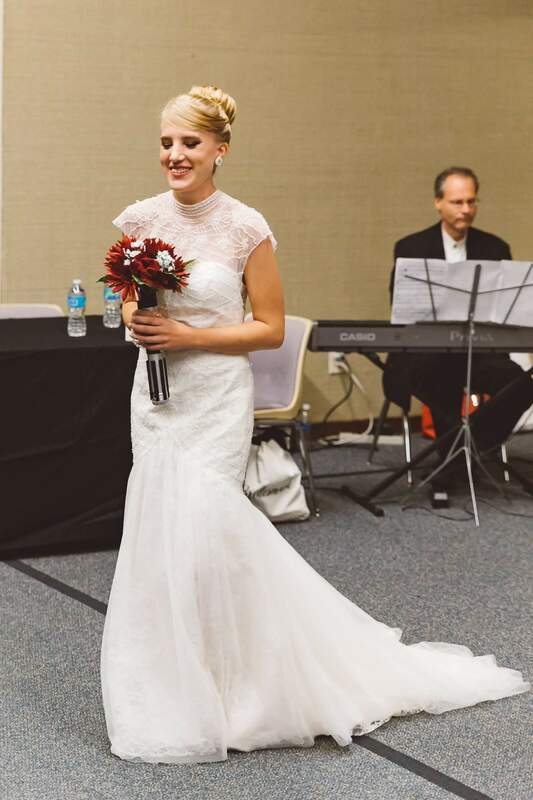 I also have a jazz duo: T.J. & Dave Jazz Duo: with a wonderful female jazz singer (TJ Graham) available to sing and play wonderful jazz and popular love songs for weddings and special events. Once again, I would be happy to talk to you about my rates and how I can help make your special event a memorable one. Or send me an email for more information and a listing of songs. Book me now for your Spring/Summer wedding or corporate event while dates are available! "David is a very talented pianist. He played a very eclectic list of songs for my daughter's wedding. From classical to a popular tv theme song his experience and ability to play many styles was amazing. He was also very professioanl in all areas." A Dream is a Wish Your Heart Makes - Theme from "Cinderella"
A Time For Us - Theme from "Romeo & Julliet"
A whole new world - theme from "Alladin"
Be My Guest - from "Beauty and the Beast"
My Heart Will Go On - Celine Dion from "The Titanic"
On the Street Where You Live - from "My Fair Lady"
Put On a Happy Face - Tony Bennett "Bye Bye Birdie"
Some Enchanted Evening - from "South Pacific"